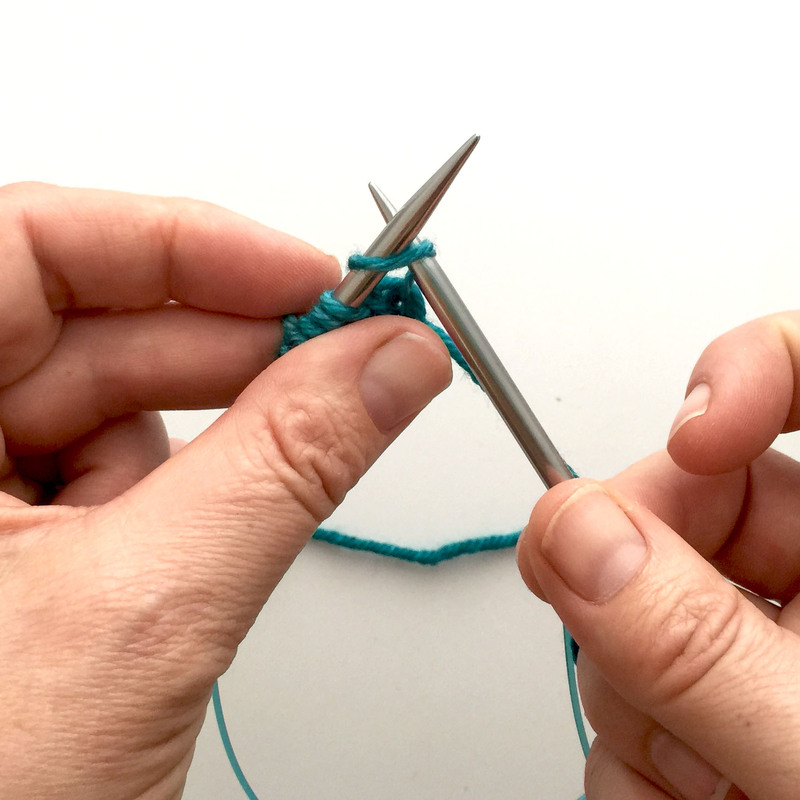 The Turkish CO is commonly used for projects worked in the round, such as toe-up socks. However, it is equally handy as a cast on for projects worked flat from the centre outward, as in the case of some of my shawl designs, including Hale-Bopp, Palana, Karee and Talara shawls. The following steps will guide you through the process of casting on and working flat, without joining in the round. 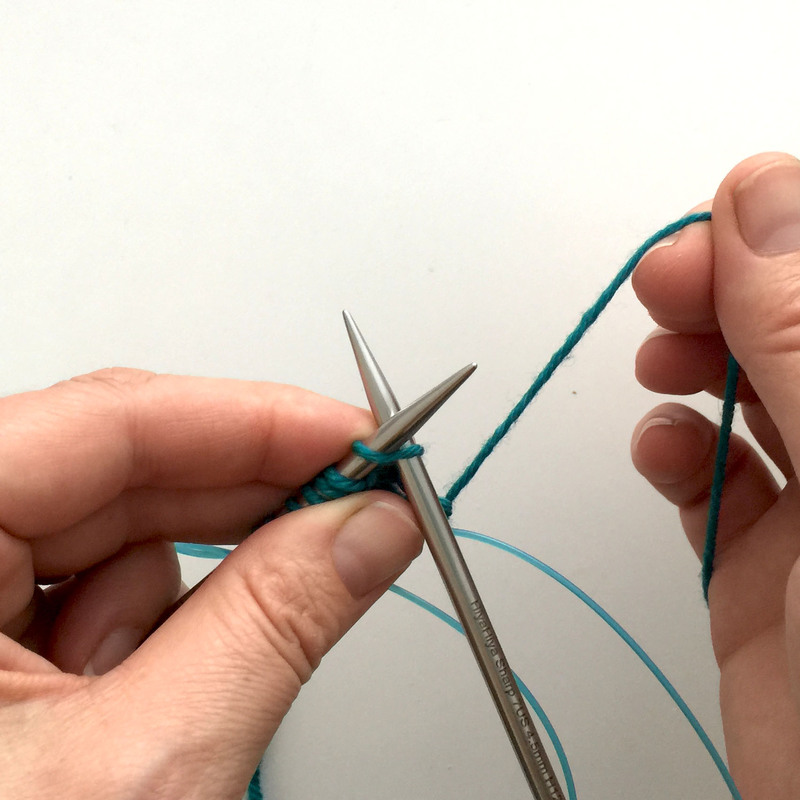 Be sure to note that, when working a large number of stitches back and forth, you will require a longer set of circular needles, or 2 sets of circular needles. I have created a video to accompany the Hale-Bopp Shawl cast on which can be seen here. 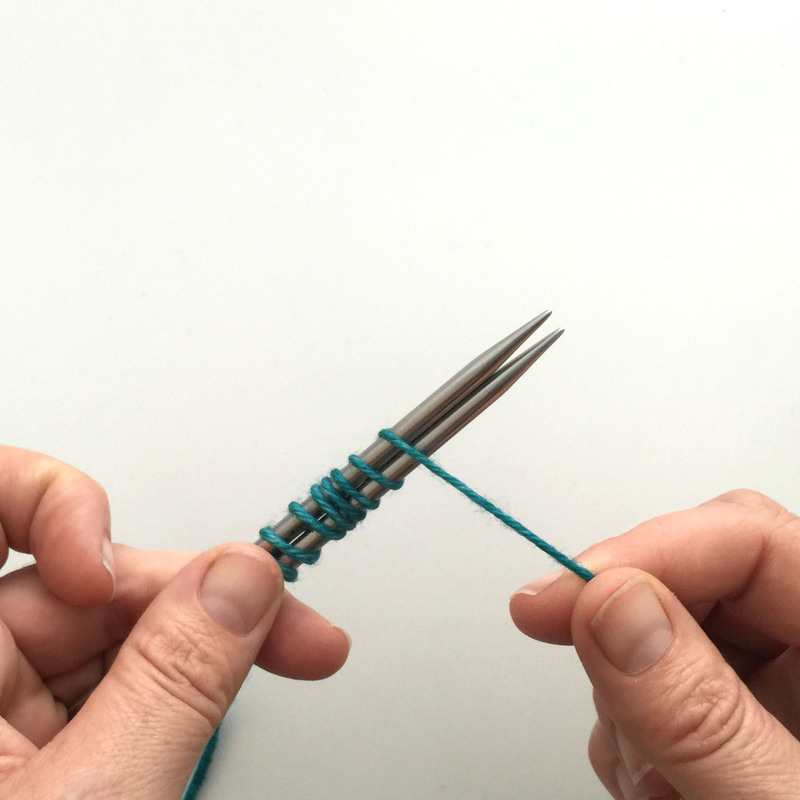 Step1: Attach a slip knot to the bottom needle, wind the working yarn behind the top needle and around the front of both needles. 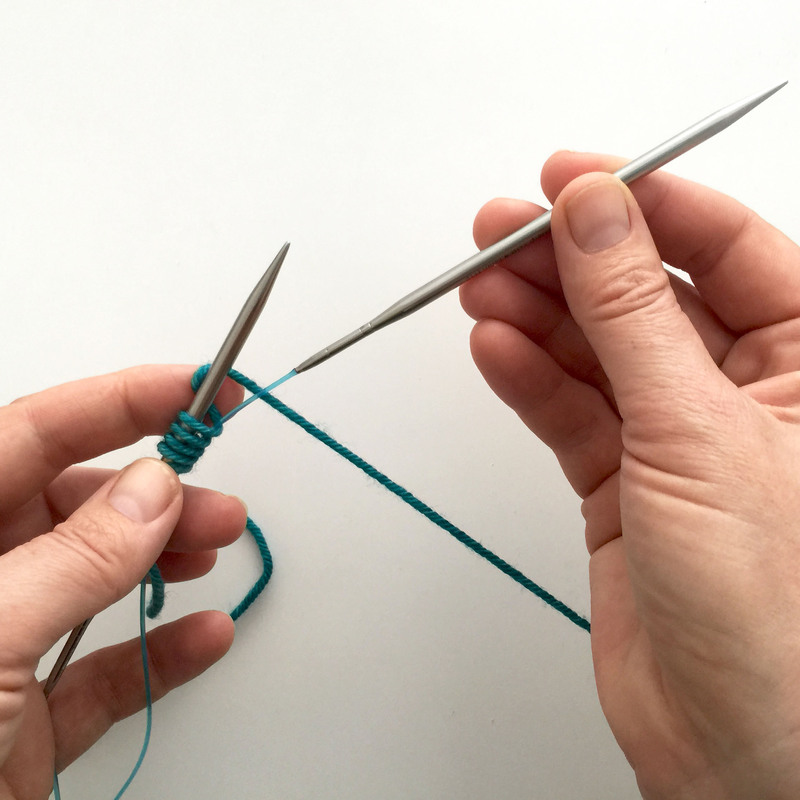 Step 2: Each time the yarn is wrapped around you are adding a stitch to the top needle and to the bottom needle, count two stitches for each full wrap around. 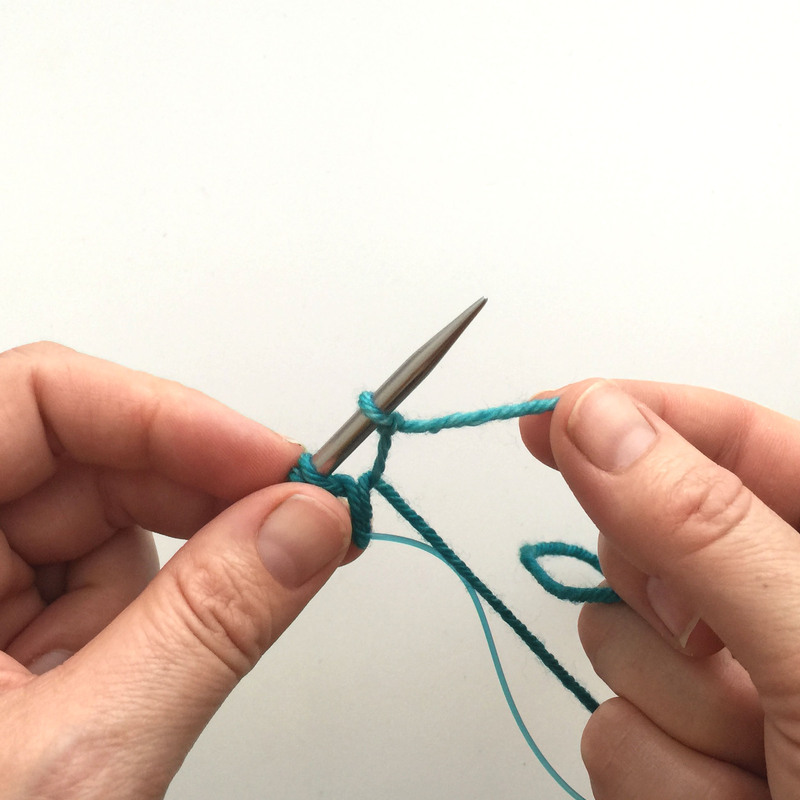 Step 3: Once you have the number of stitches required for your cast on, bring the yarn to the back of your work. 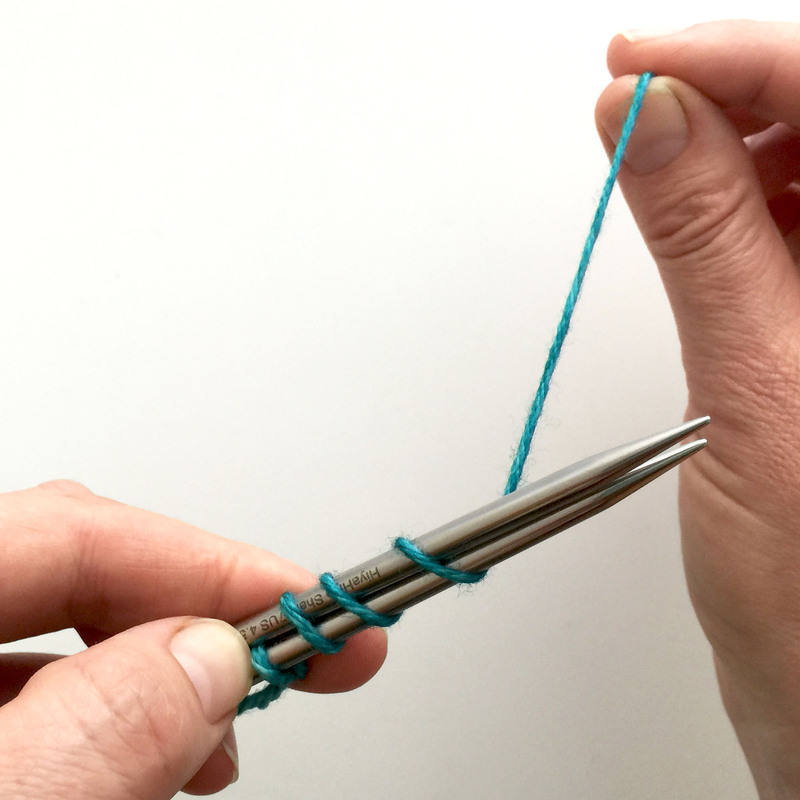 Step 4: Pull the bottom needle out; you will knit the stitches on the top needle with this. Step 5: Knit across the stitches in the top row according to the pattern instructions. Step 6: When you reach the end of the row your work will look like this. 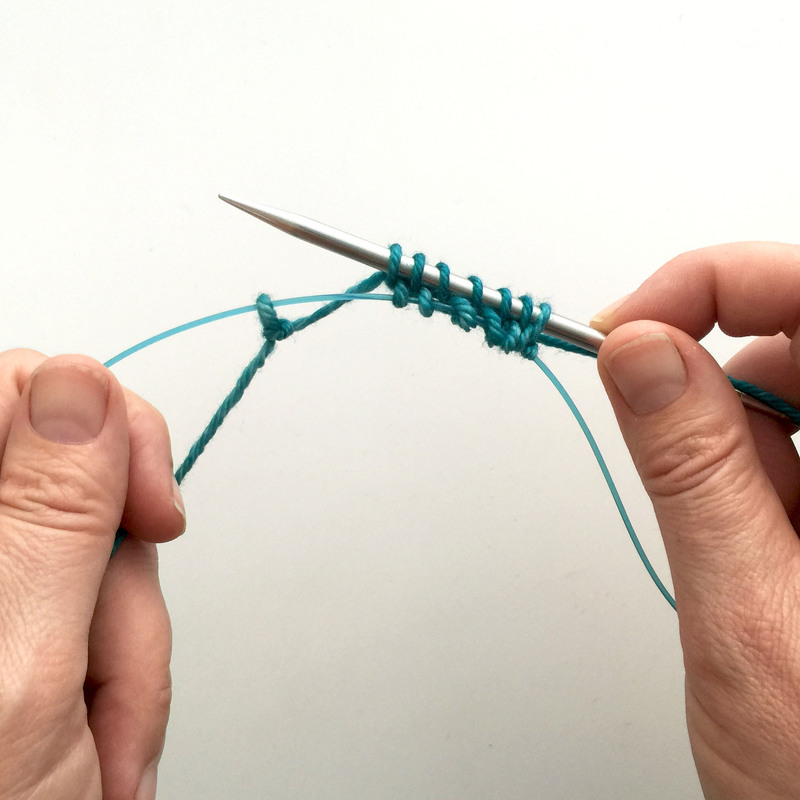 Turn work so that the bottom stitches are now on the top with the knot to the top right. 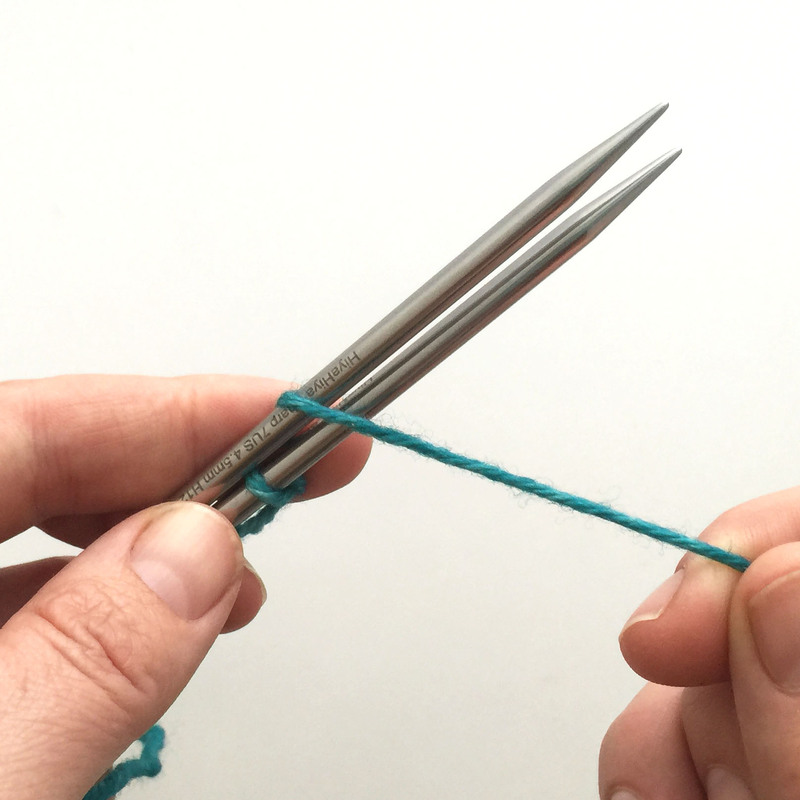 Step 7: Slide the top needle through the stitches , ready to work, and pull the bottom needle out. Pull the knot off. 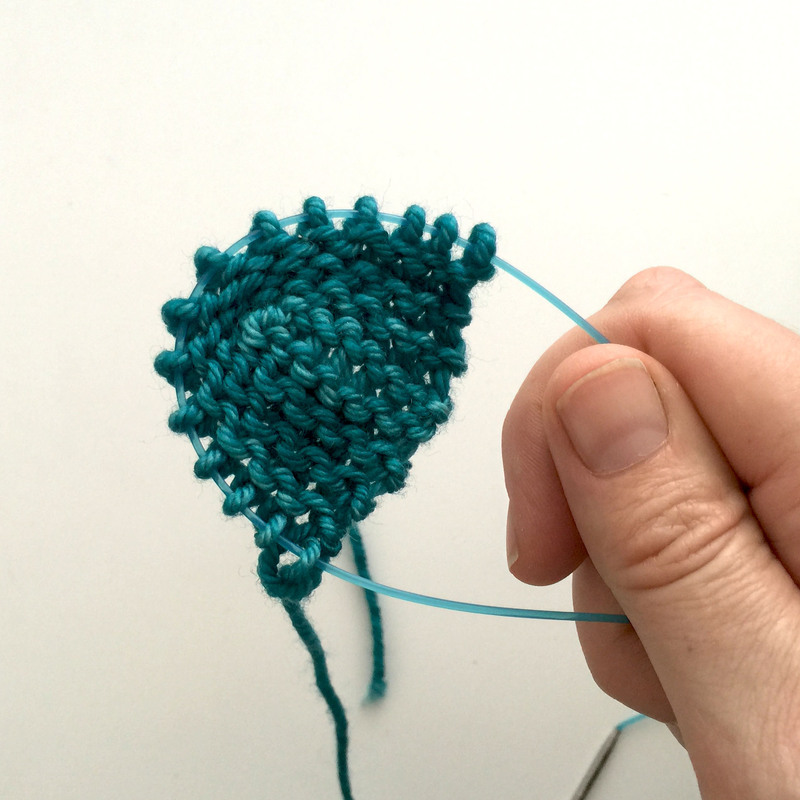 Step 8: Work across what is now the top row of stitches (knit or purl, according to pattern instructions). Here the work has been turned so that the garter ridges are facing you. This the right side for the shawl patterns. Work all stitches on the top needle. 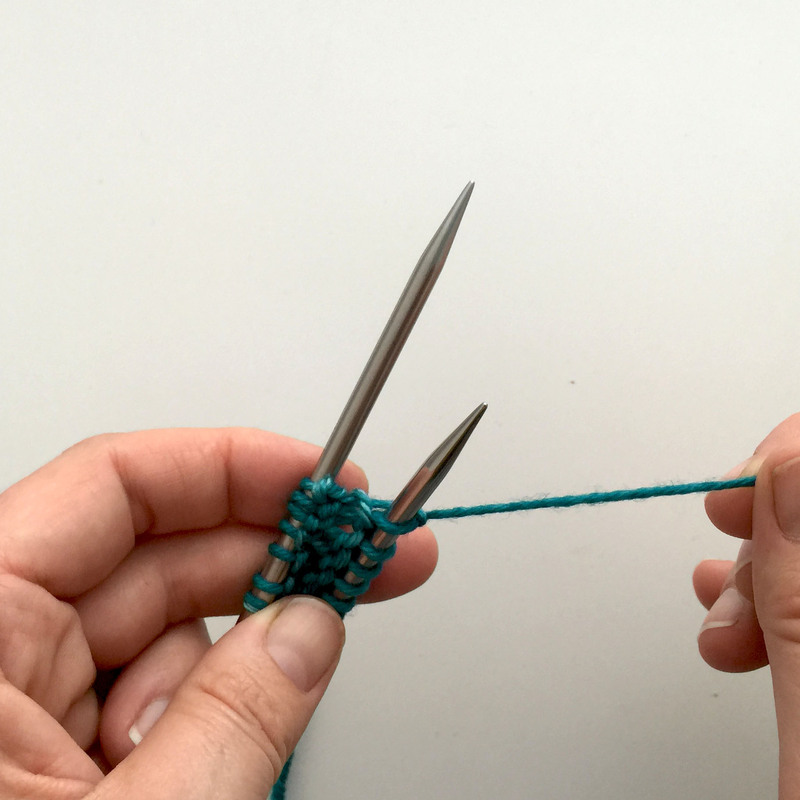 When you get to the end of the stitches on the top needle, continue to work to the end of the row by knitting across the bottom stitches. 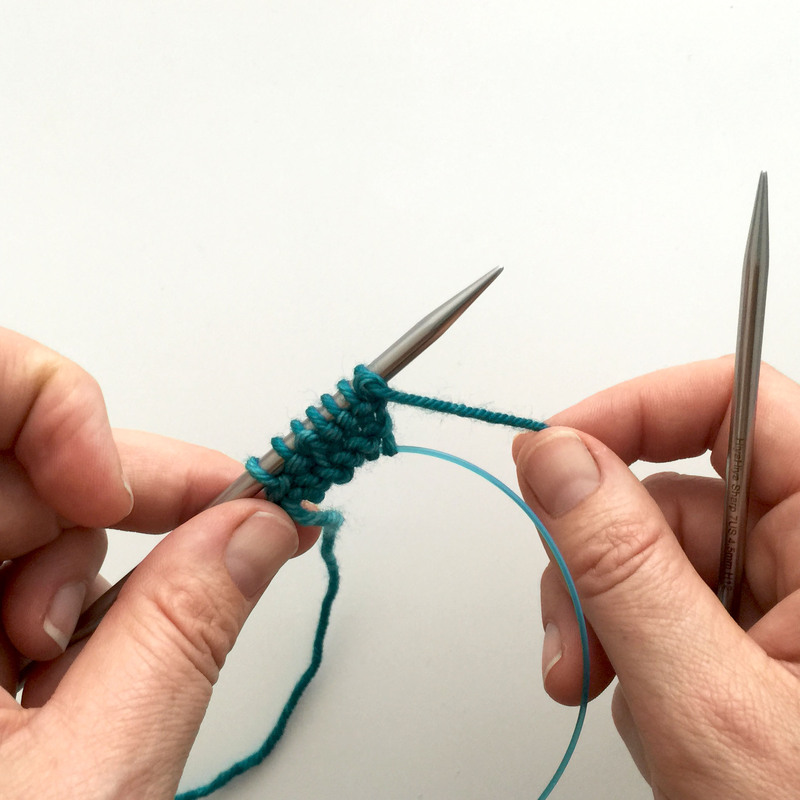 You will need to use the magic loop technique or two sets of circular needles to work the tight “U” for the first few rows. 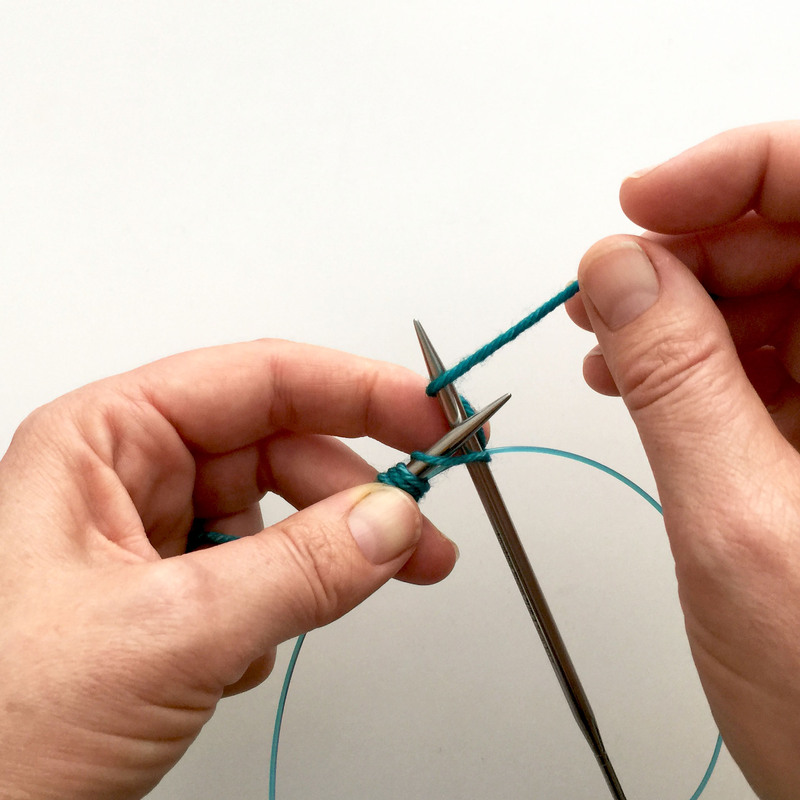 Eventually you will be able to work the stitches back and forth without requiring the magic loop to get around the “U”.